Sunny Food Stores operates a chain of multicultural grocery stores. The products offered by Sunny Food Stores include vegetables, meats, seafood, halal, poultry, dairy, bakery, cheeses, groceries, fine wines, snacks and spices from various part of the world. 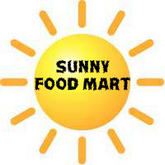 The Sunny Food Stores has locations at Ontario, Canada. The store operates Monday to Sunday from 8.00 am to 11.00 pm. The Sunny Food Stores Halal meat department, and the food court provides fresh and specialized prepared food such as BBQ, sushi, dessert, steam table food, etc. The company also produces private label products for grocery chains in United States, United Kingdom, and Japan. There are currently 0 consumer reviews about Sunny Food Stores available. Share your review. Please take a note that you are about to post a public review about Sunny Food Stores corporate office on CorporateOffice.com. This review will be public, so please do not post any of your personal information on this website. If you would like to contact the corporate offices of Sunny Food Stores, please use their contact information such as their phone number, website, and address listed above to contact them. However, sometimes staff from Sunny Food Stores headquarters do read the reviews on this website.